Shuhei Amamiya transfers into Kai Ichinoses elementary school. As an aspiring pianist, hes shocked that Kai has no teacher after hearing him play. To Ajino, who hurt his musical abilities in a car accident, meeting Kai seems like fate. But Kai just wants to be able to play a certain Chopin piece. Ajino sets a Mozart piece as Kais entry for the contest, but Kai worries that he hasnt found his own style of playing. Shuhei is favored to win. After Takakos performance, its time for Kai to take the stage. With his mother, Ajino and Shuheis father watching, its time to show his skills. After the contest, Shuhei transfers back to Tokyo and Kai finds that the piano in the woods is broken. Takako vows to win for Kais sake. 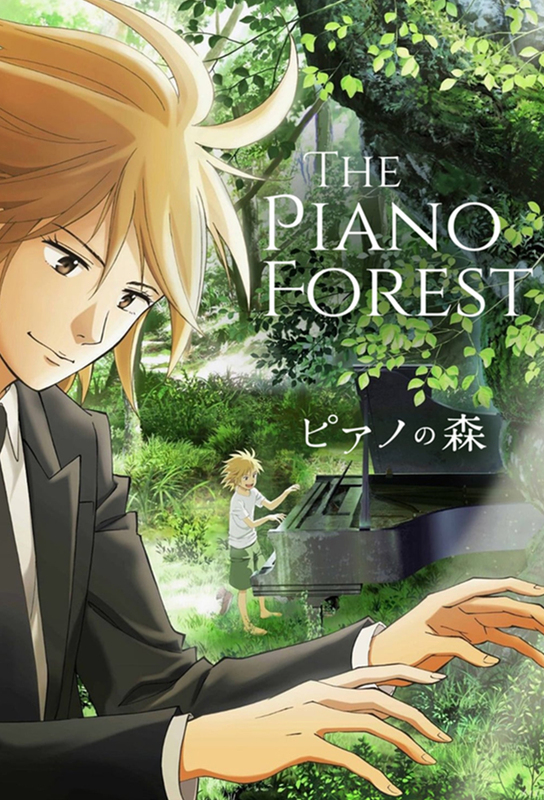 The piano in the forest goes up in flames, but Ajino tells Kai that it can live on within him. His mother tells him to concentrate on his music. Five years later, Shuhei returns to Japan determined to see Kai again. After some searching, he finds his friend in a very unexpected place. An injured Takako travels to Tokyo with her teacher Shiba, who first noticed her at the competition five years before. There, she meets Kai again. At the Chopin competition preliminaries in Poland, Kai nearly has a meltdown, but Shuhei performs as usual. Shuhei is frustrated when they meet again. The first contestants take the stage for the Chopin competition. Kai is shocked that a Chinese pianists playing sounds just like Ajinos. Shuhei takes the stage at the competition, impressing everyone. Taking a walk to calm his nerves, Kai meets Polish pianist Lech. It’s finally Kai’s turn to play. His playing transports the audience to the forest as Shuhei, Takako and Ajino reflect on their friend’s journey.